Lenovo S920 is among the 6 devices luanched in the event organized by Lenovo at New Delhi, India. In this event, Lenovo has launched 6 Smartphone including its new flagship device Lenovo K900 for the different range. We have been busy reviewing all this devices and have covered the Lenovo A706, Lenovo A390, Lenovo P780 and Lenovo S820 and its the last device launched in the event, Lenovo S920. Lenovo S920 is the company’s latest high-end smartphone in the S Series with 5.3-inches of display and powered by a 1.2 GHz quad-core processor. The device runs on Android 4.2.1 (Jelly Bean) with Lenovo’s custom UI on top and comes with dual SIM support. The Lenovo S920 comes with an 8MP rear camera,which was observed in most of the MediaTek based devices. The one thing that surprises us here is the company’s other device Lenovo S820, that have lesser price tag got the better camera of 13MP when compared to this high range Lenovo S920 and hence we think this device could have also deserved the same camera of S820 but might be company doesn’t think the same way. The camera will be assisted with LED flash and autofocus, which will further add to the quality of the pictures. On the front, the S920 sports a 2MP camera, which should perform more than decently since most of us would only be using it for video calling. The device comes with a standard 4GB of on-board internal storage and this storage will be expandable to 32GB with a microSD card. Although 4GB will not be enough for most of us out here, the inclusion of a microSD card should make life easier. The S920 comes with the same processor which we saw on a range of quad core devices like Gionee Dream D1, Micromax Canvas HDetc, which is the MediaTek MT6589. This is a very popular quad-core chipset from the Taiwanese manufacturer, MediaTek and designed on the cortex A7 achitecture. This processor is also coupled with the Imagination PowerVR SGX544 GPU for graphical processing on the device. The MT6589 is a proven processor, and coupled with 1GB of RAM as well, which makes it a great combination of multitask-efficient and powerful at the same time. The device comes with a 2250mAh battery, which is better when compared to the company’s S820. But the display size of S920 is bigger compared to S820 and hence we can expect same working time for both the device using there battery. The 2250mAh would probably take you through one day only if you are not the heavy user of your device but being an heavy user of the device i would have liked to see a battery bigger than the currently provided. 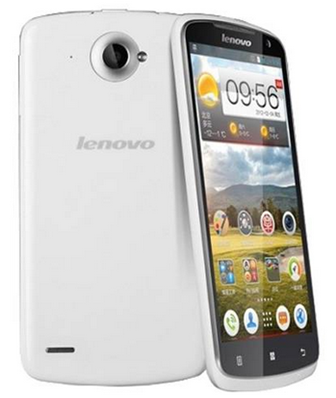 The Lenovo S920 comes with a 5.3 inch screen and houses a display with 1280 x 720 Pixel HD resolution. The IPS-LCD Multi-touch Capacitive Screen can provide you a good display experience and can allow great visibility angles without any affect in the colours. The 720p HD resolution on a 5.3 inch screen means that the phone will have a decent pixel density and should provide an excellent video experience. As we already said that the device share the same Mediatek processor with some low budget device like Micromax Canvas HD 116 and the Gionee Dream and hence this device looks bit costly. Apart from the processor the device got bigger display with the latest Android version with Lenovo’s UI and have the latest Android Version where as Micromax HD canvas has also planned to provide upgrade to Android 4.2 to its users. The User Interface will be different for both the devices. The device looks good with the specification but you have to decide your preference; either you want to go for the local brand with same processor for cheaper range or if you want to experience the Lenovo brand name with the new UI experience while operating the Android on your device. The device comes packed with Li-Polymer Battery 2250mAh, Headphone / 3.5 mm Audio Jac,, Usb Data Cable and a Travel Charger and will cost you Rs.26,399 and will be available soon in the market. It’s Actually IPS LCD Not TFT…. its mentioned as IPS LCD only. Does this Phone support 1080p HD recording Capability ? Am really confused to select between Lenovo S820 and S920. I see that S820 having better Cam and a compact size. And I can see that S920 has a higher Battery Capacity than S820 and Big screen. The S820 has a Gorilla Glass for protection. And what protection glass is there for S920 ? Which one can I go for ? Does S820 have advantage of Camera on S920 ? Will the Battery Life differ much in comparing Both ? confused btween lenovo s820 or s 920??? both are good, tell us ur requirement so that we can help u better. I am planning to buy Lenovo s920 or s820 dual sim or please advise a mobile which can server atleast top three concerns listed. — Dual sim mobile with both sims active it means when I am on a call on sim1, sim2 should not be unavailable rather you should get enaged. — Which ones battery life is good? — Can we make Skype calls? — How we can use the memory card to expand the memory? Do we have any option like default SD card/ built in memory? — Is this a China made? — How about sound quality dual speakers or only rear? Thanks for the response, When can I expect your answer will be?